As I type this I think back to a time when my hair was severely damaged and looked like it had been cut by a lawnmower. It’s funny because the way I used to handle my hair and the way I handle it now are so, so different! No wonder it’s actually grown! I know I’m certainly not the only one to have felt frustrated with my hair’s growth. In fact, growing longer hair is one of the most common questions that I receive. There are so many misconceptions about natural hair care, it’s crazy! I’m a big believer in the idea that hair care doesn’t need to be complex, confusing or overwhelming. It should be simple and that’s exactly why I’ve outlined a few key steps that anyone can follow. The key to success in growing longer hair is to do your homework! Yes, I said homework! That means, changing how you view your hair and following the advice given in this post. Doing your homework is about putting what you learn into practice and making it a habit to change your current hair care regime. If you do this, you’ll see a huge difference in your hair’s growth, strength and health. The first mindset change is to get rid of the belief that black/brown/curly haired girls don’t need to shampoo their hair! If you’re NOT shampooing your hair and scalp, guess what’s happening? Your scalp is probably full of dirt, grease and other things. How is your hair supposed to grow if your scalp is clogged? To grow longer hair, your scalp needs to be clean and healthy. That means shampooing your hair and scalp on a regular (but not too frequent) basis. For instance, once a month would be an ideal number for many women. If your hair is prone to greasiness, you might want to shampoo more frequently. The second mindset change is the belief that ‘greasing’ your hair is good for it. Yes, your hair and scalp need to be moisturised but knowing what to moisturise them with is essential. petroleum cannot moisturise. Rather than using hair greases, opt for products with natural and organic ingredients like jojoba oil which is one of the only oils in the world that can penetrate the hair shaft. The third and final mindset change is the belief that black hair can’t grow long. It absolutely can! A lot of people seem to think that long hair is exclusive to people from certain racial/ethnic backgrounds but that’s not true at all. Your race doesn’t determine your hair length- proper hair care practice does! Growing longer hair is about knowledge, application and patience. Click here to tweet this quote! If you liked this post, spread the love by sharing this link http://wp.me/p1yGki-2y on Twitter and Facebook. Isn’t it boiling outside! Whilst many of us love the hot weather, our hair doesn’t! High levels of heat can cause your hair to dry out and lose moisture. The funny thing is that even though our hair doesn’t love heat, many of us see the summer time as the perfect period to wear our hair out. The choice to wear your hair out is often called ‘wash n go’ because all you have to do is wash your hair and…go! So how can you wash n go without damaging your hair? Is it possible to wash n go without damaging your hair? Here are some tips and strategies to bear in mind when doing a wash n go. Conditioning your hair is vital during the hot summer months. Make sure you condition before wash n going so that your hair is well moisturized and prepped to handle the heat. A super slipper conditioner will help with detangling and will make combing your hair so much easier. Whilst wearing your hair out everyday is tempting, it could potentially cause a lot of damage to your hair and might increase the chances of single strand knots, tangles and split ends. Rather than wearing your hair out everyday, be selective and wear it out on alternative days. You could for instance wear it out on a Monday but not Tuesday, Wednesday but not Thursday and so forth. The night time is the perfect period to nourish your hair back to health. Before dozing off and falling asleep, take a few minutes to detangle with a wide toothed comb or high-performing brush, apply oil to your hair and scalp and tie a headscarf. Doing these three things will protect your hair at night and prevent it from damage during the day. If you enjoyed this article, subscribe to our newsletter. Click here and enter your name and email in the opt-in box. The words frizzy hair and summer, go hand-in-hand. Many women stress themselves (and their hair) out, by spending wasted time trying to get their hair to do things that mother nature never intended . . . but I must admit that even those of us who are professionals are guilty of it more often than I’d like to admit! In an attempt to have smooth and shiny looking hair for some special summer soiree . . . we over-do it! We go beyond the normal blow-drying, stretching- out, round brush styling and over–heating with curling irons or flat-irons, all in an attempt to fight the inevitable summer frizzy hair, which is the plight for so many of us who have curly hair. Just slowly back away from the battle with your already overworked hair. Your hair needs a vacation now and then just like you do. Try a little Zen with your hair . . . get out of the way and let its natural innate health work its magic. Try these tips to tame curly frizzy summer hair, and give it a much needed break at the same time! Shampoo Less – Shampooing less often allows your own natural oils to condition the hair. Your own natural oils are mother nature’s natural frizzy hair remedy. Frequent shampooing strips your hair of these vital oils. Do a in-between normal shampooing and use sulfate-free shampoos. Condition More – Frizzy summer hair is caused by the exposure of dry hair to the humid summer air. Dry hair absorbs moisture from the air in humid weather, swelling the hair and making it frizz. Dry hair types need to moisturize their hair from the inside (by conditioning) to strengthen it and keep the cuticle closed and smooth. When the cuticle is smooth and closed it resists humidity, reducing frizz. Deep Condition More – A deep conditioning treatment once a week is one of your best defenses to ward off frizzy hair. Leave-In Conditioner – Use a leave-in conditioner for extra protection. It works great as a detangler and a sun protectant too. Use your fingers and a wide tooth comb after applying a leave-in conditioner to comb through wet hair. Air Dry– Blow dryers accentuate the frizz factor, especially in summer months. Give your blow dryer a vacation till fall. Think of ways to style your hair that ‘goes with the flow’ and it will save you more time and headaches. Loose buns, braids and bushy ponytails are all chic looks now that curly haired girls can play-up this summer . . . so do the right things for your hair and relax, chill out . . . and let the cosmos have its way! Guest author Barb Quinn has been a professional hair stylist for over 30 years and has established herself as a nationally recognized hair designer, educator, and freelance writer. Barb has been chosen by her peers to serve on the advisory panel of Cosmos C International the global hair stylist network. Thousands of women each day follow Barb’s hair styling wit and wisdom on her highly successful blogs Hairstyle Blog and Visual Makeover. In 2011 The Hairstyle Blog was selected as Top Beauty Blog by BeautySchool.com. For most of us (especially us women), our hair means the world. If it looks dry, lifeless or tangled, we feel self-conscious and unhappy. Dull hair is a problem that a suprising number of people experience and your chances of experiencing dry hair can increase based on internal and external factors. In today’s article, we’ll explain what these factors are and give you some actionable tips to help you get rid of dull hair immediately. By internal factors we’re talking about the things going on inside of your body. Internal factors are often overlooked because people assume that having healthier hair simply comes from adding more products, changing your hair style or switching shampoos. Whilst these things can have a big impact on your hair, monitoring what’s going on inside your body is probably the best thing you can do to improve your hair’s condition and appearance. To prevent dull hair it’s imperative that you drink more water, exercise regularly and add more fruits and vegetables to your diet. Remember your body is a temple! By external factors we’re referring to the types of things you do on a practical level to make your hair appear healthier. Some examples of external factors include shampooing, trimming split ends and moisturising your hair with natural oils and products. The key to gorgeous, beautiful hair is to get the balance right between managing the internal and external factors. This doesn’t have to be complicated, it’s really just a case of taking a few steps on a daily basis to get the balance right. Now let’s discuss how to get instant results that will help you banish dull hair forever. How To Get Instant Shine! 1. Drink more water- it works, seriously! 2. Exercise regularly; this will have a big impact on your hair’s condition. 3. Consider taking supplements like Evening Primrose Oil as they’re rich in omega 3 fatty acids which are great for strengthening hair, skin & nails. 4. Get rid of product build-up by washing your hair regularly. For curly, wavy and afro textured hair, shampooing with a sulphate-free shampoo is a great step. 5. Know your ingredients, always read the labels and make sure you’re opting for hair products that are free from harsh chemicals especially those that make your hair greasy without actually moisturising it. 6. Use oils! As we’ve mentioned in previous articles, oils are amazing for your hair. Do your research and make sure that the oils you’re using are not watered down, a lot of so-called natural oils are filled with petroleum so be careful. Try buying 100% natural oils like Extra Virgin Olive Oil, Coconut Oil and Jojoba Oil. These types of oils will add luster and shine and have a long-term impact on your hair if used regularly. 7. Consider applying oils to your hair just before bedtime and in the morning. Massaging your hair with natural oils usually works a treat. Like this article? Why not share it with your friends on Facebook or Tweet a link to it on Twitter? Many of our customers have asked about quick and natural homemade deep conditioning treatments that work well on naturally curly hair. Here is a treatment that’s easy to do, uses natural ingredients and has a huge impact on your hair’s strength, elasticity and shine! Filled with protein, it’s easy to use and simple to purchase. Mayonaise works well on all hair types but is particularly amazing for naturally curly, frizzy and afro hair. Since most of us have mayonnaise sitting in the fridge, it’s not exactly difficult to get hold of either. 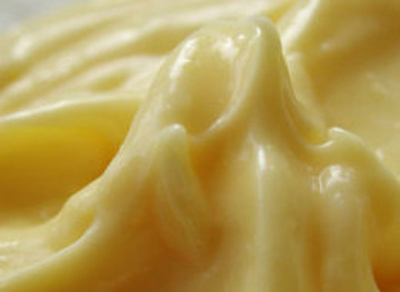 So how do you use mayonaise for your hair? Step 1. Apply water to your hair ensuring it’s damp or relatively wet. Step 2. Scoop a dollop of mayonnaise into a bowl. For great conditioning, mix the mayonnaise with olive oil and honey. Step 3. Apply the mayonnaise thoroughly onto your hair and leave for 10-30 minutes (depending on how deep a treatment you need). It’s a good idea to detangle/ comb your hair whilst the mayonnaise is penetrating. Step 4. Shampoo your hair using mild/warm water (not hot). Depending on your hair type/texture, you may want to detangle after your hair has been shampooed rather than during the mayonnaise stage. Avoid using hot water as it could make your hair sticky. Rinsing with cold/warm water will help you get the best results. Now it’s your turn! This week, take one day to pamper yourself and your hair starting with a deep mayonnaise hair treatment. Are there any deep treatments that you’ve tried on your hair? Which ones did you like or love? Tell us in the comments below. Frizzy hair has been the bane of women’s lives since… forever! Firstly, let’s make a key differentiaion; there’s a clear difference between naturally frizzy hair (that’s curly, coily, afro textured etc) and hair that is frizzy because of external influences (like heat, product build up and bad hair practices). 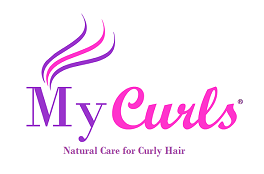 In one of our previous blog posts, I talked about porous and frizzy hair which are categorized by damaged ends, an abnormally rough texture and appearance. These are some of the tell-tale signs of frizz and should be something that you look out for if you’ve noticed that your hair isn’t feeling quite right. So what do you do about frizzy hair and how do you get rid of it? Here are five key tips and techniques to help you get rid of frizz forever. Remember, when you’re equipped with the right information, it’s easy to make changes and see vast improvements with your hair. So your hair is experiencing some frizziness and you decide to apply a new product to it. It doesn’t work so you apply another product and another and another (see the pattern?). This causes ‘product build up‘ which means that your hair is loaded with various products and can’t absorb new moisture. Your hair consequently becomes dry, porous and frizzy. Being unaware and clueless about why your hair is frizzy, you try another ‘frizz fighting serum’ but nothing improves- it only gets worse. Sound familiar? Rather than adding more product to frizzy hair, go back to basics and start afresh with clean, hair! By shampooing, you’ll remove dirt and open up the hair’s cortex providing it with the moisture that its been craving. Remember that when washing you need to rinse and repeat and then rinse again in order to ensure that your hair has been properly cleansed. Although this might sound obvious, a lot of people forget how important it is to condition using a high quality product with great ingredients. Your hair is made up of protein which says a lot about what it needs. Not only do you need to regularly treat your hair with protein treatments in order to keep it in the best of conditions, but you also need to eat protein! Protein can be found in an array of foods ranging from eggs, chicken, fish to beans and soya. no surprise if you’re experiencing dry, frizzy hair. In addition to eating protein you should follow up with protein treatments which don’t need to be expensive or time consuming. A couple of eggs or a cup of mayonnaise and about 30- 45 minutes of time should suffice. Using either the egg or mayonnaise treatment will help to nourish and condition your hair whilst restoring vital protein. A lot of women are afraid of cutting even a miniscule amount of their hair; don’t be. Remember that trimming differs from cutting and simply involves taking off unhealthy ends. You don’t have to go to a salon (unless you feel its best), trimming your own hair is perfectly fine and once you become accustomed to it, it becomes easier and easier. In fact, its actually quite relaxing knowing that you’re getting rid of unhealthy hair and can instantly feel a difference in your hair’s texture. In the bid to have smooth looking hair, many of us resort to applying excessive amounts of heat. This can actually cause permanent damage to your hair and can make frizz even more apparent. If you’re choosing to use heat, do so with caution and try to keep your hair straightener (or flat iron) at a maximum of 150 degrees Celsius. It sounds low compared to what you might be used to using, but it’s certainly possible to have straight hair without using high degrees of heat. Also, try to apply heat as little as possible. For instance, rather than straightening once a week, try once every two weeks. It’ll make the world of difference to your hair and will reduce frizz in the long run! Now here’s the big thing! Many of us have a habit of reading or hearing advice on something and then just ignoring it or not taking the time or effort to implement the advice that’s given. Action is the biggest thing you can do because by trying things out we’re able to learn and figure out what works for us and what doesn’t. Take action now by reading through these tips one more time and consciously apply these rules to your daily/weekly hair regime. In doing so, you’ll figure out what works for your hair and you’ll be able to eradicate frizz quickly and easily!